1830 Parkside Cir, Homewood, AL.| MLS# 838472 | Richard Jacks UABLIVING.com 205-910-2297 | Birmingham AL Real Estate | Contact us to request more information about our Homes for Sale in the Birmingham AL area. Wonderful Home located in Parkside of Homewood! This lovely 3 bedroom, 2 1/2 bath home offers a main level master suite with walk-in closet, master bath with jetted tub, separate shower & double vanities, great room w/fireplace, dining room, large eat in kitchen that opens to a covered screened-in patio w/vaulted ceilings, half bath, main level laundry & 2-car garage. Upstairs offers 2 large bedrooms with walk-in closets, Jack-n-Jill bath, bonus room AND den/office/guest room & walk-in attic w/tons of storage. 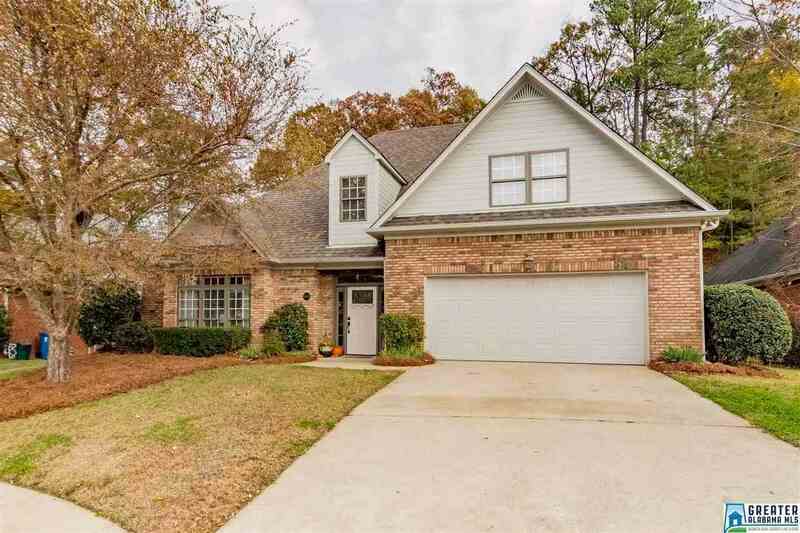 Amenities include hardwood floors throughout both levels, crown molding, updated kitchen with granite countertops, stainless appliances, large pantry & level lot with private backyard. Located in sought after West Homewood; Walk to Parks, New Pool, Restaurants & Award Winning Hall-Kent Elementary! Driving Directions: Oak Grove Road At Patriot Park - Take 3rd Right Onto Venetian Way - Take 3rd Left Onto Parkside Circle - Home On Left.